Looking for a fun and unique way to liven up your breakfast, brunch or lunch buffet? Elevation is the name of the game. 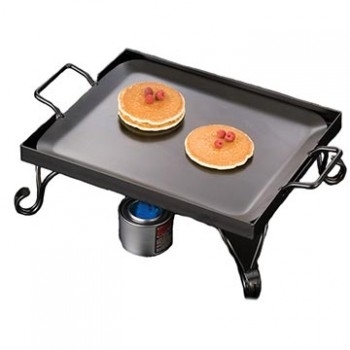 American Metalcraft, a leading manufacturer in tabletop and buffet accessories, has a wide variety of griddles and stands that will add charm and distinction to your presentation. Lightweight, easy to transport, and available in either beautiful black wrought iron or elegant stainless steel, griddles and stands are the perfect platform for giving your buffet a fresh new look and letting your menu creations speak for themselves.